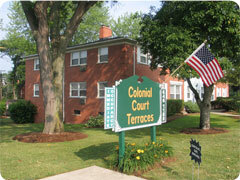 Colonial Court Apartments offers a $200 fee for each referral. If you are a leaseholder at Colonial Court Apartments and refer a new neighbor, who signs a 12-month lease; upon occupancy by the new neighbor we will credit you the referral fee. In addition, the referred neighbor will receive $100 credit upon occupancy.